You have to give brothers Harry and Mario Kapoulas of HAM in Cronulla credit for doing the unthinkable. When asked what their brief to Amber Road Designs was when they engaged the designer to reconfigure their space, they said: "We don't want it to look rustic." From left: Mario, Kitty and Harry Kapoulas are key to the success of HAM, which is somewhat of an institution in Cronulla. Admittedly, this writer is a fan of those scuffed-up spaces that reveal stories through each peeled-back layer of paint. But the brothers (Harry and Mario = HAM) are right. There is a look that has reached saturation point and there is a tendency for some spaces to appear too contrived. If the building is more than 100 years old, then clearly there's a case for staying fairly true to those old bones. The building housing HAM was built circa the 1950s and while the exterior still nods to its Art Deco past, the contemporary interior also catapults it into the future. HAM it up: specially commissioned pieces and installations add interest to the contemporary interior. 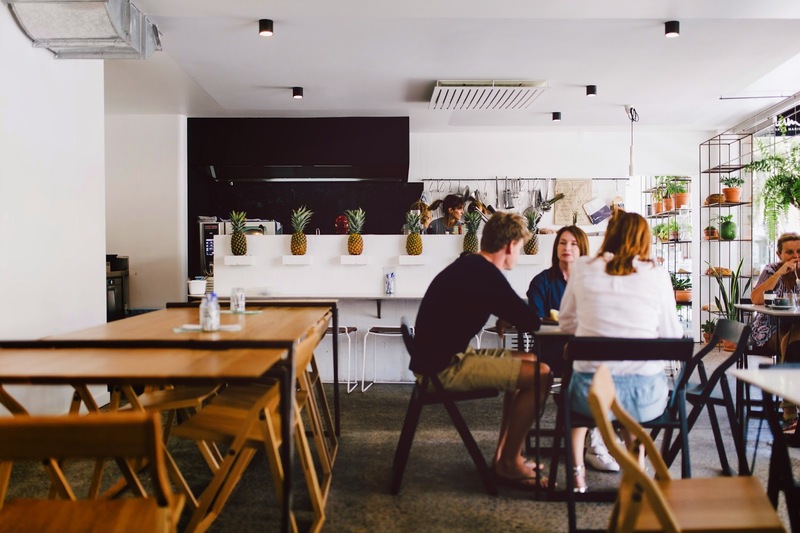 The corner cafe celebrated its ninth year in Cronulla in 2015 by swallowing an empty store next door. Harry Kapoulas says expanding the cafe gave the family the impetus to get Amber Road Designs on board to rework the space and freshen it up. Amber Road Designs definitely adhered to the brothers' strong vision when the design duo rejuvenated HAM. That vision allowed for an understated simplicity and natural flow around accessible custom-made furniture and a space that says: 'Come in. Make Yourself Comfortable'. HAM cafe has been given a lot of love during its renovation and locals are loving the lighty, whitey and brighy vibet. 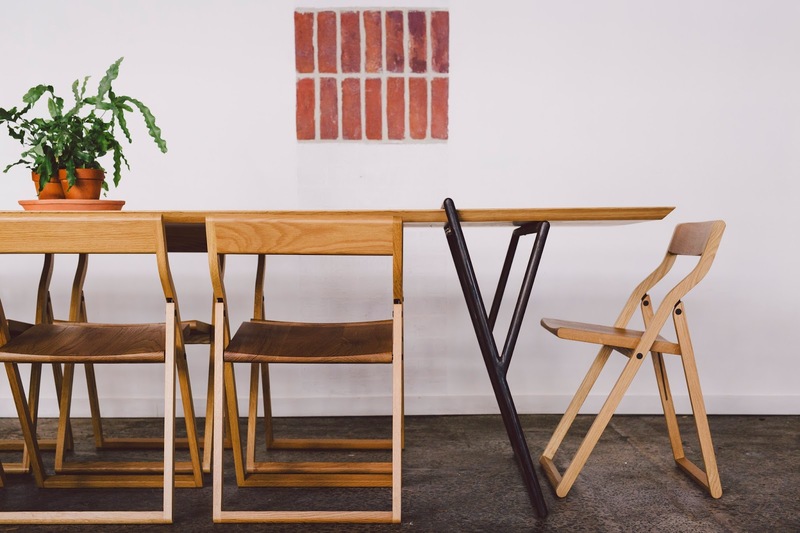 While the cafe with the cult following still evokes the building's red-brick past, the clean, light and bright interior is now even more conducive to conversation, shoring up HAM's position in the hearts and minds of locals who colonise the space for as long as they can for any number of good reasons. Custom-made steel shelving lets the light flood into the grown-up version of HAM, which has form and function. 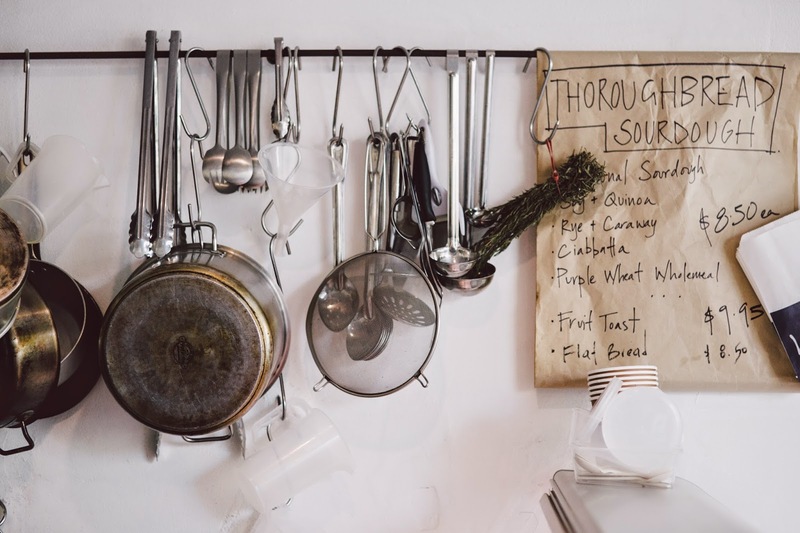 Backspace to that brief: "The whole cafe scene seems to be overrun by these rustic, overworked spaces and we wanted to do something different. 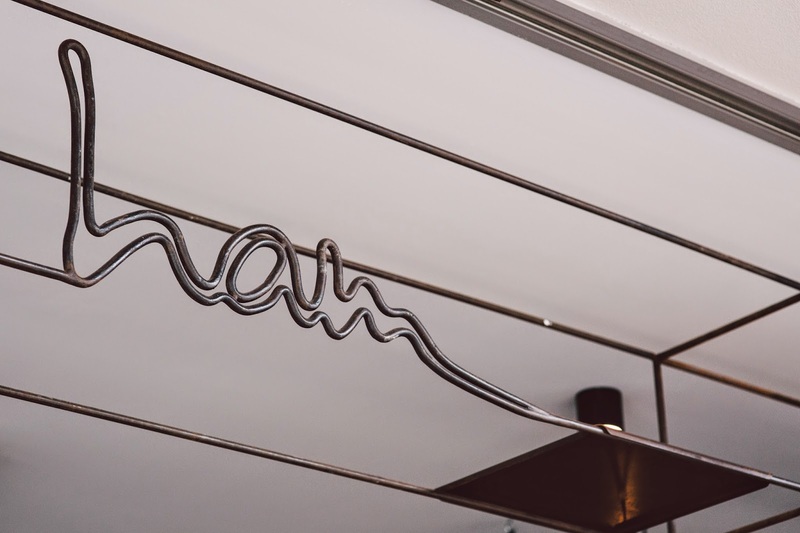 We wanted it to be fresh and new so that it reflects us and our style while also helping us to maximise the small kitchen space and become more efficient," says Kapoulas. Amber Road Designs nods to the old bones of the building, which are everywhere, without being too overwrought. Little square windows of red brick are direct references to the building's history and an integral part of the space, offering further conversation about its former incarnations. While the colour scheme is light and white, it pops thanks to splashes of colour from potted plants and the fractured textures of the polished concrete floors, and geometric composition of furniture. HAM cafe shelved any notion to read rustic and went for an altogether fresh and inviting vibe. "We love what Amber Road Designs has done. The space is more functional, and more durable and we can cater to more people and that has all made it easier for us to please our customers, " he says. 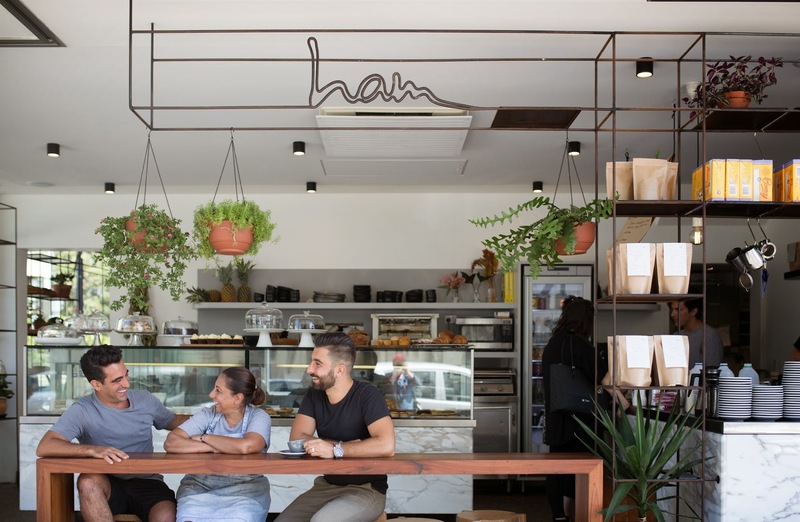 From little things, big things grow: HAM helps Cronulla locals find their happy place. 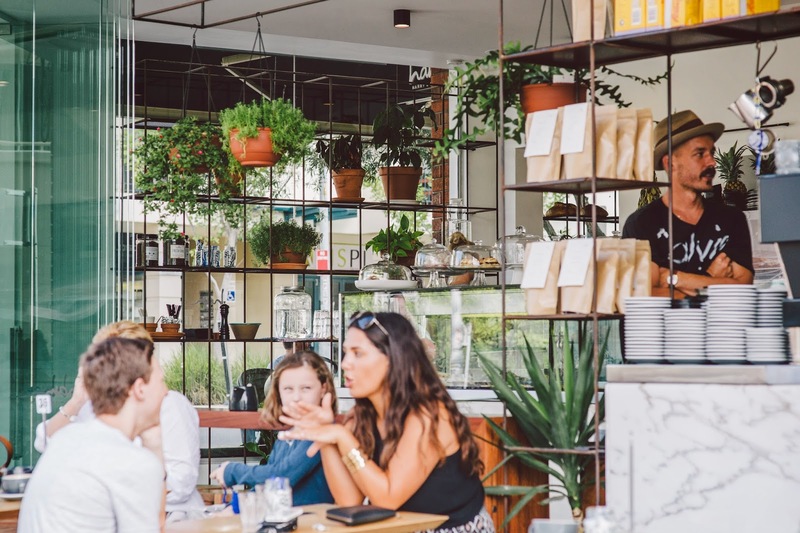 While some argue there are too many cafes for Cronulla's population, this local institution is glued like a barnacle to the beachside suburb. And in a good way. 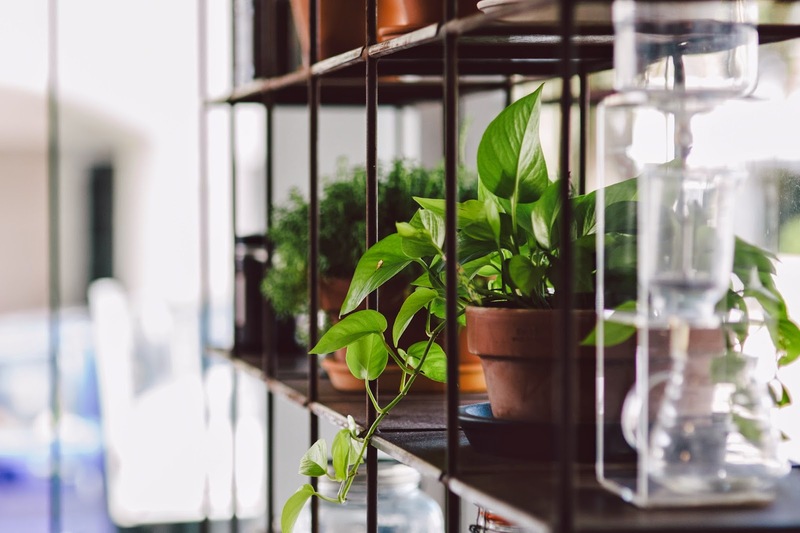 The genius of the design lies in flourishes that include flurries of flowerpots filled with fresh herbs and a functional open-faced kitchen run by the boys' mum Kitty who is so warm and welcoming that she may very well reward you with a treat for finishing your veggies. Breadheads will know that HAM deserves even more culinary cred by using ThoroughBread. 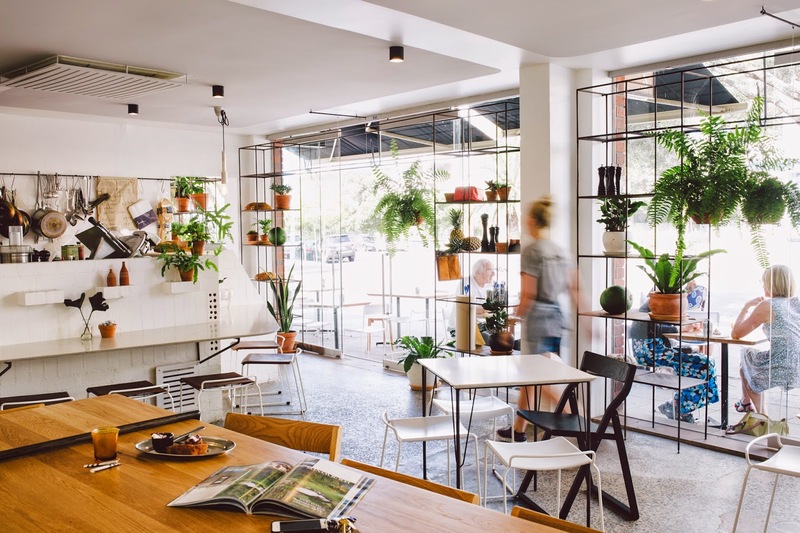 Kapoulas says the space softened by the plants displayed on a steel mesh shelving system has become a more desirable haven thanks largely to that potted blanket of greenery. The extra space - which also features custom-made furniture designed by Catapult and Nomi and comfortable padded banquette seating - means the cafe meets the street with an even friendlier facade. As for the menu, a quick skim through the blackboards special indicates it sticks steadfastly to its homespun Greek deli vibe with absurdly good options such as Greek salads, spanakopita, paninis and pasta a proven winning formula. Note: there are also newcomers, which read like welcome gatecrashers at a Big Fat Greek Marriage between a veggie-centric hipster and paleo-preaching surfer.